It’s possible to show ads after each X number of posts in categories, tags and all other archive pages. 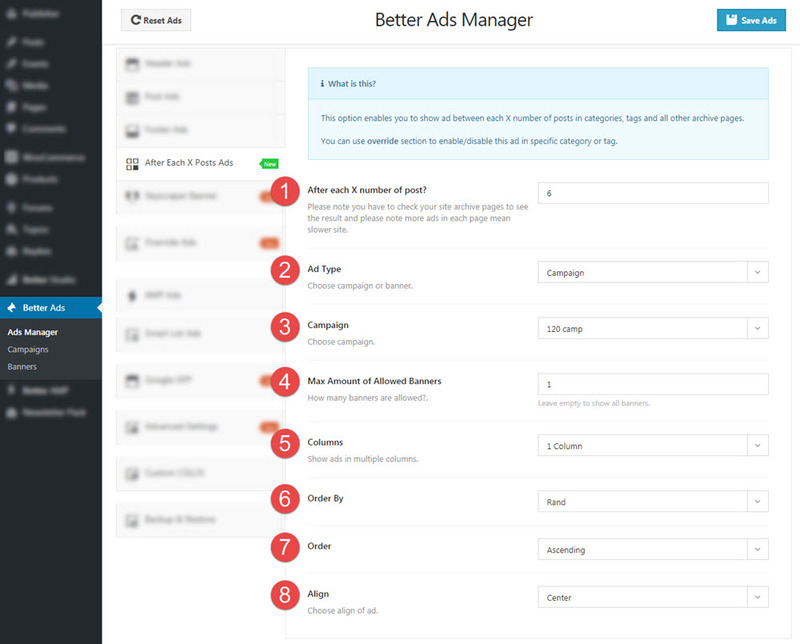 You can use override section to enable/disable this ad in specific category or tag. 1- After each X number of post? Please note you have to check your site archive pages to see the result and more ads in each page mean slower site. The more ads you use in one page, the more time it takes to load. 2- Ad Type: Choose between campaign and banner. 3- Banner: Select one of the banners you created before. If didn’t create any, read How to Create Banner. 3- Campaign: Select one of campaigns you have created before. If you didn’t create one, read How to Create Campaign. 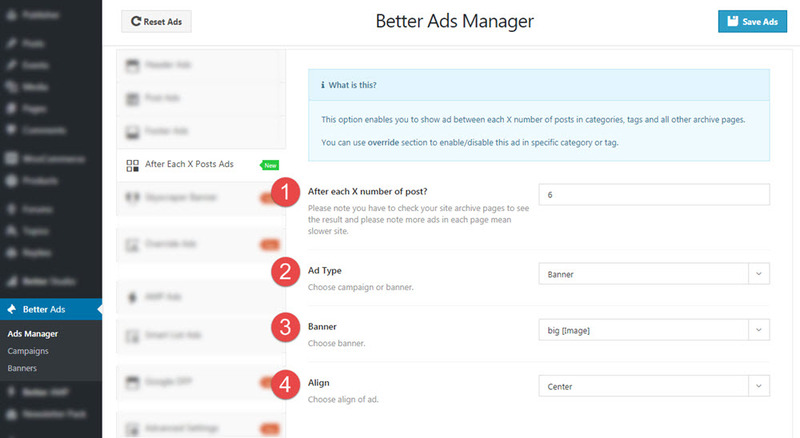 4- Max Amount of Allowed Banners: You can add as many as Ads you want to one banner but you can select how many of them display to visitors. Leave it empty to show all the banners in selected campaign. 5- Columns: Show Ads in 1, 2 or 3 columns.